Prime Minister Justin Trudeau is defending NAFTA's dispute resolution mechanism as necessary in a world where the president of the United States "doesn't always follow the rules." Chapter 19 is a known sticking point between Canada and the United States in the renegotiation of the North American Free Trade Agreement; the two negotiating teams returned to the table Wednesday. The chapter allows companies that feel their products have been unfairly hit by anti-dumping or countervailing duties to request arbitration. "One of the things that is clear is that we have red lines that Canadians simply will not accept. We need to keep the Chapter 19 dispute resolution because that ensures that the rules are actually followed and we know we have a president who doesn't always follow the rules as they're laid out," Trudeau said in a radio interview with CHED in Edmonton Wednesday morning. Trudeau insisted that cultural exemptions remain a red line for the Canadian negotiating team and left the door open for tweaks to Canada's supply managed agriculture systems — a known irritant with U.S. President Donald Trump. "We will defend supply management, as I've said, but is there room for flexibility? We'll see, and that depends on the kinds of negotiations we have," he said. "We're not going to accept that we have to sign a bad deal just because the president wants that. We'll walk away and not sign a deal rather than sign a bad deal for Canadians." 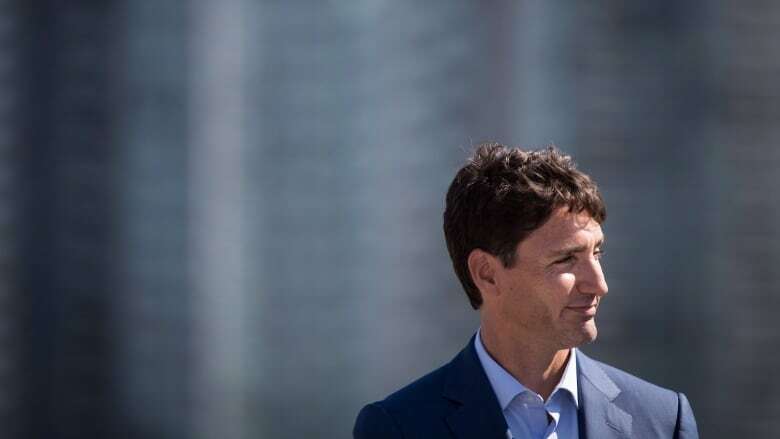 Trudeau's comments came as Foreign Affairs Minister Chrystia Freeland returned to Washington to meet with U.S. Trade Representative Robert Lighthizer. When asked about the prime minister's comments on Trump, Freeland said she has agreed not to negotiate in public. Still, she called Trudeau's words "important." "I agree with the prime minister in public all of the time and in private 99.99 per cent of the time. And I think those comments, you know, he made some important comments," she said between meetings. The bargaining teams are working to finalize the text of the agreement and deliver it to Congress by the end of the month. Freeland insisted that the latest round of talks is being conducted in "good faith." The president has threatened to move ahead on a deal with Mexico, and without Canada. While speaking to reporters in the Oval Office Wednesday, Trump again called NAFTA "a very stupid deal for the United States." "I'm not blaming Canada. I love Canada," he said. "But they and other countries have been taking advantage of the United States for many years. And this is the president that has stopped it." According to a media pool report, Trump also told reporters Wednesday in the Roosevelt Room that if Canada joins the deal his administration negotiated with Mexico, Trump would "give you a little surprise" regarding the name of the final deal. He did not elaborate. Speaking after a day of meetings in Washington D.C., Freeland said that the tone around the negotiating table today was "productive" and "very substantive." "Our officials (will) continue to work this evening and probably late into the night. We set them a number of issues to work on and they will report back to us in the morning, and we will then continue our negotiations."